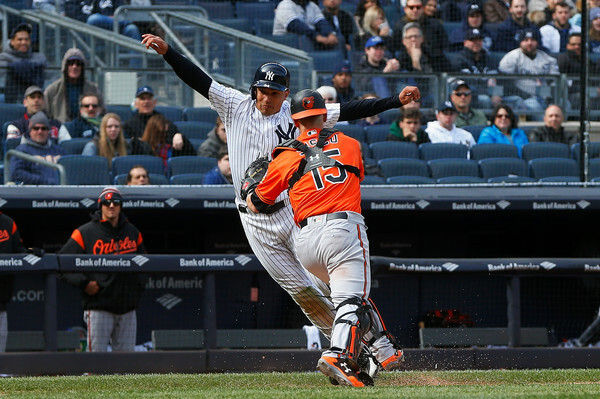 Twenty-three different position players came to the plate at least once for the Yankees this year, and we here at River Avenue Blues endeavor to give you a little something about each and every one of them in this series of reviews. These are the guys that opened the season in the organization and, for a variety of reasons, ended up playing relatively minor roles. The Yankees have acquired quite a bit of talent from the Diamondbacks over the last five years; so much so that a deal between the two teams feels like an automatic win for the good guys. They’ve made five deals in that span, with the Yankees acquiring Brandon McCarthy, Martin Prado, Didi Gregorius, Tyler Clippard, and Drury, and giving up Vidal Nuno, Peter O’Brien, Shane Greene, Vicente Campos, Taylor Widener, and Nick Solak (the last two in the deal for Drury). That’s 17.3 WAR in, and 3.4 WAR out, for those of you scoring at home. 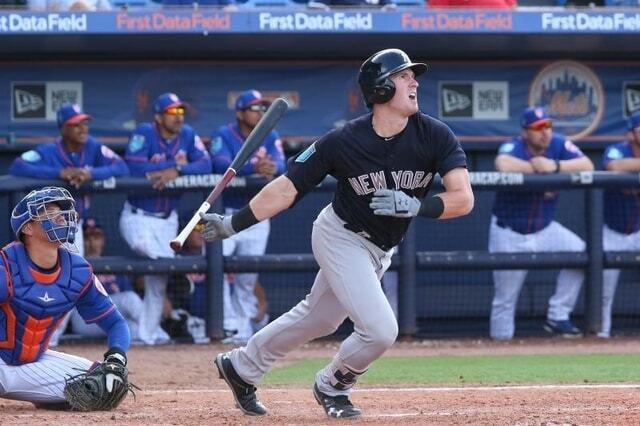 Drury was acquired by the Yankees in February as a part of a three-team trade with the Rays and Diamondbacks. The aforementioned Solak went to Tampa, and Widener went to the desert; and both spent the entirety of 2018 at Double-A in their respective organizations. It’s worth noting that both performed well in Double-A, to be sure, but neither is a standout prospect. For his part, Drury opened the season as the Yankees third baseman, starting seven of the team’s first eight games and pinch-hitting in the other. He hit a more than serviceable .217/.333/.391 (101 wRC+) in that span, and it seemed as though the team had found a perfectly adequate infielder. And when he was placed on the disabled list with migraines on April 7, he was expected back in relatively short order. It didn’t work out that way, of course. 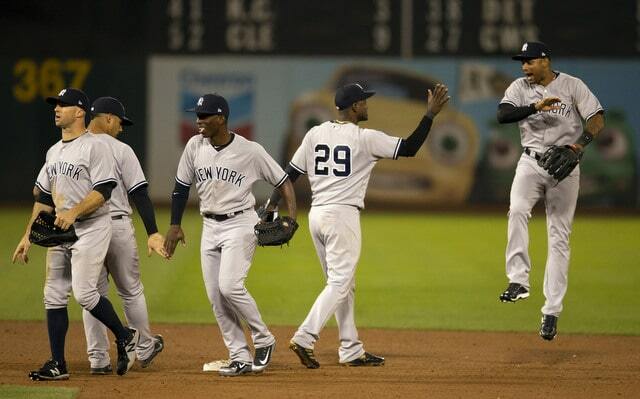 Miguel Andujar took over at the hot corner in Drury’s absence, and hit the ground running. And when Drury’s stint on the disabled list was over on May 14, he was optioned to Triple-A Scranton, where he would spend the next six-plus weeks tearing the cover off of the ball. It was clear that he didn’t belong there, but it was also clear that they didn’t have room for him on the big club. Drury was called back up on June 29, and bounced around the infield for ten days before being sent back down. He only hit .136/.174/.182 in that stretch, so it was difficult to fault the Yankees. He came back up on July 20, and was essentially done as a Yankee on July 24, when he exited the game after being hit in the hand with a pitch. Drury was dealt to the Blue Jays (along with Billy McKinney) for J.A. Happ a couple of days later. All told, Drury hit .176/.263/.275 (49 wRC+) in 57 PA in pinstripes. Injuries and superior options at second and third base hindered his chances of finding a role with the team before he really had a chance, and his bags were packed at the deadline. He followed that up by hitting .154/.241/.231 (33 wRC+) with the Blue Jays, albeit in just 29 PA as his season ended early due to a fracture in his left hand. The 2017-18 off-season could not have been much fun for Frazier, who spent his time seeing his name in trade rumors, recovering from an oblique injury, and getting a much-publicized haircut. 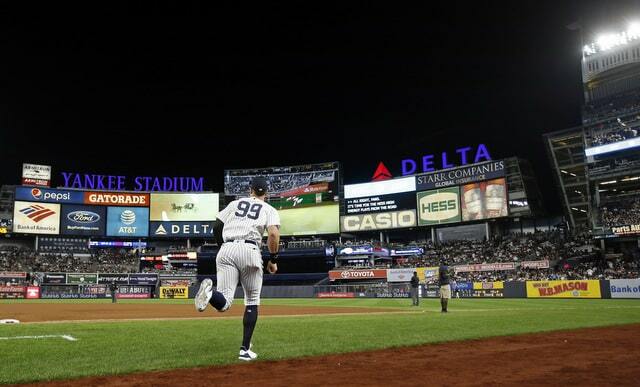 And seeing the Yankees add Giancarlo Stanton to an already crowded outfield picture was probably a bit disconcerting, as well. I don’t want to editorialize too much, but I can’t help but feel that he was relieved to start playing baseball again when February rolled around. Unfortunately, Spring Training wasn’t any better, as Frazier suffered a concussion after crashing into the outfield wall, and missed the first several weeks of the season as a result. He was activated from the disabled list on May 1 and optioned to Triple-A, where he hit .362/.423/.702 in 52 PA before being called-up for a double-header on May 19. He started one game, going 1-for-2 with two walks, and was sent back down to Triple-A. Frazier spent the next two months bouncing between Triple-A and the show; he obliterated the minor leagues, posting a .311/.389/.574 slash line in 216 PA, and was adequate in 41 big league PA, posting a 113 wRC+. Unfortunately, the lingering post-concussion effects never really let up, and his season was over in August. And given how mightily the Yankees struggled to fill the void left by Aaron Judge’s injury, Frazier missed a big opportunity, to boot. Frazier’s status is one of the low-key but still important storylines of this off-season. He’s still only 24 with oodles of talent, but he hasn’t been able to stay healthy over the last two years, and concussions are tricky at best. 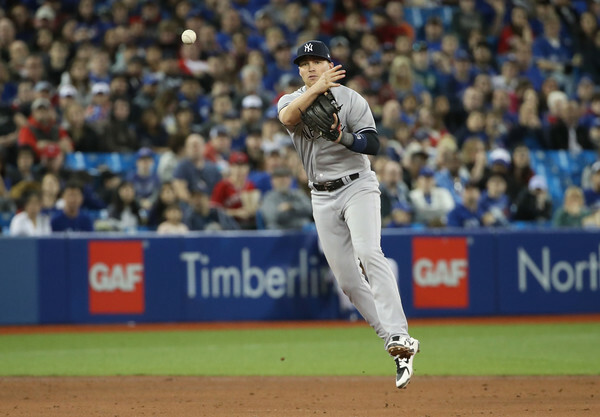 Moreover, the Yankees still have a crowded outfield, even if Brett Gardner hadn’t re-signed. Frazier is ostensibly healthy and resting now, but this may well be another winter of trade rumors. Higashioka entered the 2018 season as the team’s third-string catcher, and the expectation that he wouldn’t have much of anything to do in the majors this year barring some calamity. 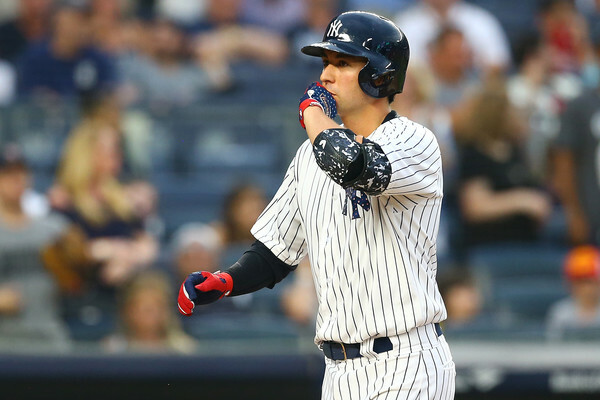 There was a calamity, of sorts, in Gary Sanchez’s injury-riddled and disappointing season, which resulted in Higashioka spending about three months on the Yankees roster. Unfortunately for him, that meant a lot of sitting on the bench if deference to Austin Romine. The 28-year-old backstop spent most of the first three months of the season in Triple-A, where he struggled mightily. He slashed just .196/.272/.337 through 52 games, which was a far cry from his strong performances there in 2016 (131 wRC+) and 2017 (113 wRC+). There was no clear path to playing time for Higashioka for most of this time, and he certainly wasn’t forcing the issue. When Sanchez hit the disabled list with a groin injury on June 25, Higashioka was called-up. He served in a timeshare with Romine, starting nine of the team’s nineteen games in this stretch, and he slashed an intriguing .167/.242/.500 in 33 PA. Higashioka had the first three hits of his major-league career during this stint … all of which were home runs. Higashioka was sent back down when Sanchez returned from the DL, and was recalled when Sanchez aggravated the groin injury a few days later. He’d go on to spend the rest of the season with the team, picking up eleven more starts along the way. Higashioka finished the season hitting .167/.241/.319 (51 wRC+) in 79 PA. There were some reasons to be excited about Higashioka after his dominance of Triple-A in 2016, but that ship has likely sailed at this point. He’ll be 29 in April, and the team clearly prefers Romine off of the bench. That doesn’t mean that he can’t be a useful bench piece – it just might not be for the Yankees. 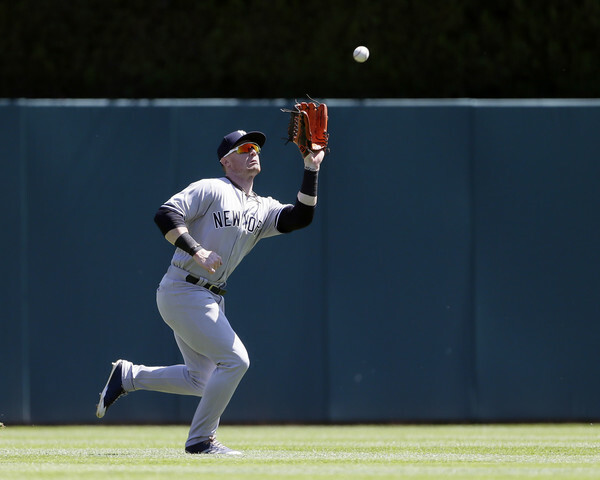 McKinney was acquired alongside Gleyber Torres way back in 2016, and was poised for a real opportunity with the Yankees when Frazier, Aaron Hicks, and Jacoby Ellsbury went down with injuries. He earned his first big league start (and hit) on March 30 … and was placed on the DL with a left shoulder strain after crashing into the wall on March 31. By the time McKinney was activated on May 24, the Yankees outfield rotation was set, and he headed to Triple-A. He flashed some power there, slashing .226/.299/.495 (120 wRC+) with 13 HR in 234 PA, but his tenure with the team ended before he could claw his way back to the majors when he was sent to Toronto in the Happ trade. McKinney spent his first month with his new organization in the minors, but he was called-up on August 18 (against the Yankees), and spent the rest of the year starting for the Blue Jays. He hit .252/.320/.470 (114 wRC+) in 128 PA down the stretch, and should have one of the corner outfield spots locked-up for 2019. ?Your browser does not support iframes. Peterson was claimed off of waivers by those same Orioles on April 24, and his Yankees career was over. He did hit .300 with the team, though (in 11 PA), so he has something to tell his grandchildren one day. The 28-year-old utility player did find a good home in Baltimore, though, playing all over the field and appearing in 93 games. He hit just .195/.308/.325, but he stole 13 bases in 15 attempts … so, there’s that. 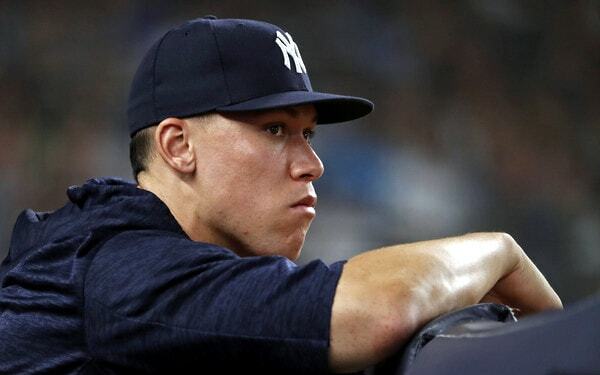 The aforementioned injuries to Clint Frazier, Ellsbury, and Judge as well as the trade of McKinney paved the way for Robinson to make 17 starts for the Yankees this year. That in and of itself is a fine argument both for how necessary depth is, and how quickly it can disappear. And it haunts me to this day. 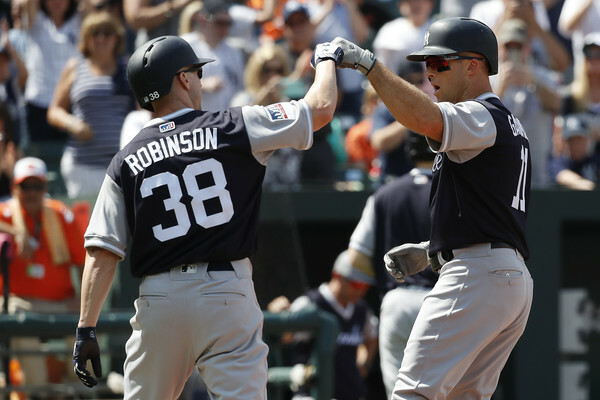 Robinson was signed by the Yankees way back in February to serve as Triple-A depth. When he was signed, he was something like ninth or tenth on the organization’s outfield depth chart, and for good reason. The now-34-year-old was a Quadruple-A player, having spent the previous eight years as an up-and-down guy for the Cardinals, Twins, and Angels, racking up a .226/.294/.297 line in 795 PA along the way. He’s the sort of player every organization needs, but doesn’t really want to see at the highest level. He was called-up in early April for a two-game cup of coffee, going 1-for-3 with two walks in two games before being sent back down. He spent the rest of April through late-July in Triple-A (and missing all of June), posting a .628 OPS in 192 PA. But Judge’s injury and McKinney’s trade mere days beforehand forced the Yankees hand, and Robinson was recalled on July 28. Robinson played in 23 of the team’s Judge-less games, starting sixteen. He hit .130/.167/.217 in that time, which thankfully (mercifully?) came to an end when Andrew McCutchen was acquired on August 31. Robinson spent the rest of the season in purgatory, and became a free agent on October 10. Did not make CC Sabathia the one-year, $17.9M qualifying offer. 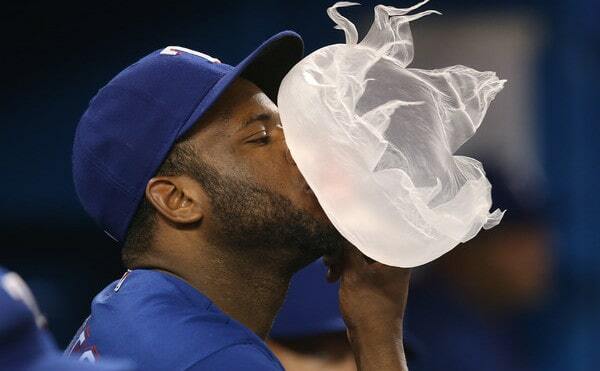 Claimed infielder Hanser Alberto off waivers from the Rangers. Activated Jacoby Ellsbury (hip surgery), Clint Frazier (post-concussion migraines), Ben Heller (Tommy John surgery), and Jordan Montgomery (Tommy John surgery) off the 60-day DL. Eight Yankees became free agents earlier this week but only Sabathia was eligible for the qualifying offer. The other seven were either acquired at midseason or had previously received the qualifying offer, and were thus ineligible. Sabathia played for $10M this year and could be re-signed at a similar rate next year, so of course the Yankees didn’t make the qualifying offer. Sabathia would take that $17.9M in an instant. Seven free agents received the qualifying offer prior to today’s deadline and they have ten days to accept or reject. For each qualified free agent they sign this winter (if they sign any), the Yankees will surrender their second highest draft pick and $500,000 in international bonus money. Every first round pick is protected. The Yankees hold the 30th overall selection and are locked into that pick. They can not gain any compensation draft picks this offseason. As for Alberto, the 26-year-old is a classic utility infielder type who stands out on defense but hasn’t hit a whole lot at the MLB level. He did put up a .330/.346/.452 (106 wRC+) batting line with seven homers and hilariously low strikeout (7.3%) and walk (2.3%) rates in Triple-A this year though. Alberto has played all four infield positions as well as right field. Consider him in the reserve infielder mix come Spring Training. I should note Alberto is out of minor league options, so he’ll have to pass through waivers to go to Triple-A next year. If there’s a roster crunch the Yankees could try to slip him through outright waivers later this offseason and keep him in the organization as a non-40-man roster player. I imagine that won’t happen until after the Yankees find a more viable Didi Gregorius replacement, if it happens at all. Point is, Alberto is a depth pickup and will not necessarily stick around for the long haul. The 60-day DL activations are procedural. There’s no disabled list in the offseason so those four guys had to be activated. The Yankees had eight free agents come off the 40-man roster earlier this week. The four 60-day DL activations plus the Alberto claim mean the Yankees now have 37 players on the 40-man roster. (Brett Gardner stayed on the 40-man roster when he re-signed.) The Rule 5 Draft protection deadline is November 20th, which will soak up some 40-man spots. 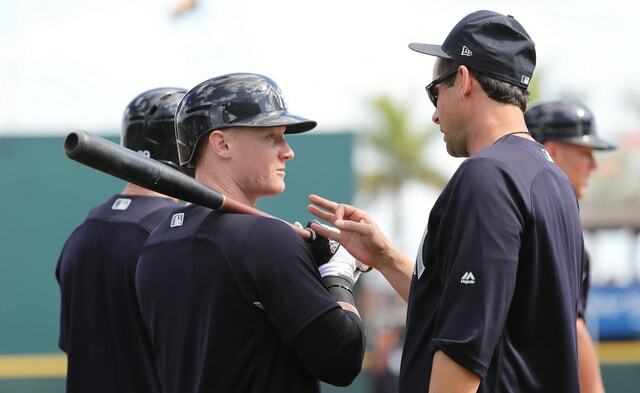 It would be wrong to call Clint Frazier’s concussion and post-concussion migraines the most costly injuries of the 2018 season for the Yankees. I mean, this is a team that lost Aaron Judge and Gary Sanchez for roughly two months each, plus Jordan Montgomery was limited to only six starts. Those were some truly devastating injuries. Frazier’s injuries were costly though. No doubt. Aaron Hicks got hurt on Opening Day and, nine games into the season, Jace Peterson was starting in left field. The Yankees went through August with Neil Walker and Shane Robinson playing right field. That was all playing time that could’ve gone to Frazier had he been healthy. Instead, the injuries limited Frazier to 283 plate appearances (242 in the minors and 41 in MLB) and basically none after July 19th. For all intents and purposes, Frazier’s season started in early May and ended at the All-Star break. The .311/.389/.574 (170 wRC+) batting line in Triple-A was good to see. It’s unfortunate he couldn’t play more. Uncertainty as to whether Frazier could hold down the left field job next year. A trade chip with diminished value. Who’s paying full price for Frazier now? To be clear, I’m not blaming Frazier for his injuries. I’d never blame a player for an injury unless it was a dumb and avoidable off-the-field injury, like falling asleep in a tanning bed. Clint originally got hurt crashing into the outfield wall in Spring Training. It happens. Outfielders crash into walls. Most make it out okay. Some get hurt. That’s baseball. I’m just saying Frazier’s injuries hurt the Yankees during the regular season and they’ve already thrown a wrench into the offseason. As I mentioned earlier, Brett Gardner might not have been re-signed had Frazier been healthy this year. The left field job could’ve been his. Instead, the Yankees couldn’t pencil Clint into an outfield spot next year, so they needed a stopgap, hence Gardner’s return. Also, with Frazier not 100% physically and teams having not seen him on the field in several months now, it’s hard to see him being the centerpiece in a trade for a pitcher. Clint’s awesome, but if I were another team I sure as heck wouldn’t take him as the headliner in a trade for someone like, say, Jon Gray. Would I try to buy low on him? Hell yes. Would I pay full price for him? Nope. The best course of action — maybe the only course of action — is letting Frazier get healthy this winter and planning as if he’ll be a non-factor next year. Anything he gives you in 2019 is a bonus. If he contributes and takes over left field full-time at some point, great! The Yankees have to plan for the worst though, right? That’s why Gardner was re-signed. It’s easier to find an outfielder now in the offseason than during the season. Given the nature of the injury, the priority here is Clint’s health. Concussions can have a lasting impact on quality of life. There is also a baseball angle the Yankees have to consider, and with Gardner back in the fold, that refers to Frazier’s trade value. Getting an impact pitcher could be that much more difficult without him healthy. The Yankees didn’t have Frazier when they needed him during the season. Now they basically have to plan their offseason without him.